Welcome to Wednesday. 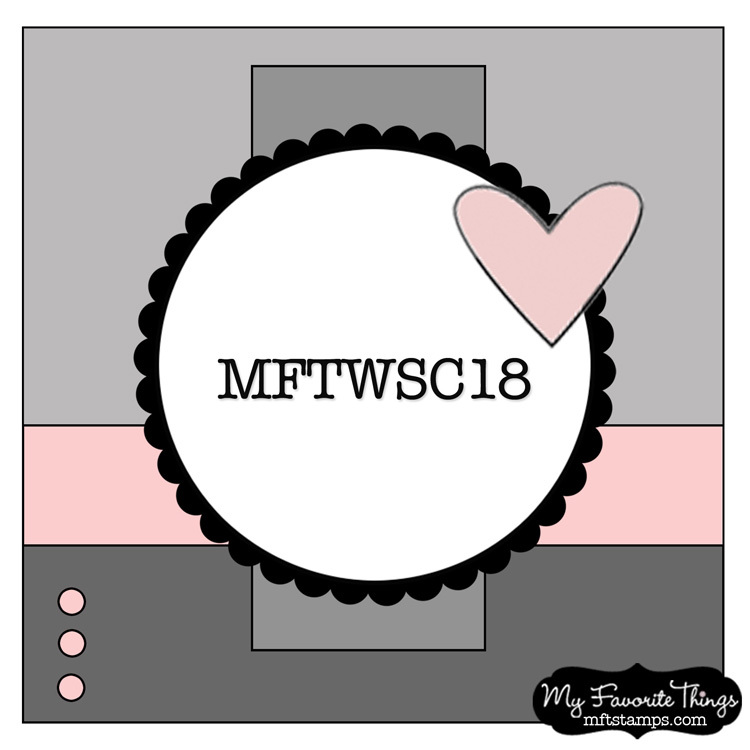 Today is one of my favorite days at My Favorite Things Stamps. Each week they have a sketch challenge and it comes out on Wednesday. You can read about it here. This is the sketch for this past week and you can see my card underneath. This is such a fun way to be inspired. No two cards ever look alike and there is so much talent to explore. The paper, brads, flower and twine are all from my stash o' stuff. The main image was cut and matted using oval dies from Spellbinders. Do you love the little girl? It is also from MFT Stamps and it is called Pure Innocence Best Medicine. I colored her with Copic Markers and Copic Spica Glitter pens. I think this stamp line is precious. Now look at the very bottom - that tag and little flower are all part of a brand new set called the Notched Tag Die and Stamp Set. Oh my goodness. You have to check it out here. There may be a little notched tag on everything I create for a while! 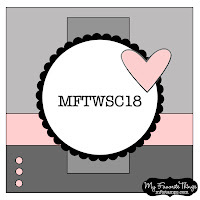 I have some other new MFT Stamps dies that just arrived in my mailbox. So I'll be using them soon and posting some more projects here for you to enjoy. Have a great day - go forth and create!